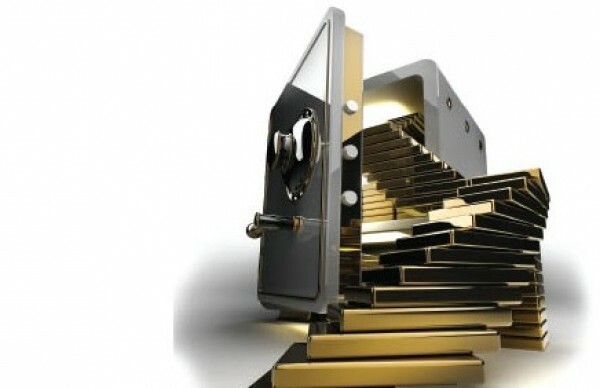 Gold Bullion International founder Savneet Singh knew that launching a business that stores physical gold bars and coins for clients outside of traditional banks would mean the company would have to own secure vaults across the globe. Besides secure vaults in such locales as Zurich, Singapore and New York City, Singh also decided that there ought to be gold in them thar hills of Salt Lake City. While Singh would like to say that he staked a claim in Utah’s capital for one of GBI’s storage sites because he recognized the state’s gold fever, as evidenced by the 2011 House Bill 317 that authorized the study of gold and silver coins to be used as legal tender, he says the company actually scouted the location before the bill was passed. He says a survey of clients found Utah’s respect for private property was a major factor for choosing the site over other possible locations like California. Not only does Gold Bullion International sell gold, but, unlike other gold dealers, it stores gold for its clients at one of six insured vault locations across the globe. It also will ship gold directly to a customer’s home. The gold is owned entirely by the customer and the physical asset is kept completely separate from the company’s balances. In 2009, Singh and some of his colleagues looked into what is involved in owning and storing gold. He learned he either needed millions of dollars to buy gold and store it in traditional banks or he could buy smaller quantities over the Internet through sometimes unscrupulous dealers. Fear of paper is one thing, but trust in gold is another. Over the past decade, gold values have gone from around $300 per ounce in 2003 to roughly $1,800 per ounce in 2012. University of Utah finance professor Scott Schaefer says gold does well in times of economic uncertainty. He says the market previously saw a gold rush in the late 1970s when people became leery of cash and other paper assets due to historically high inflation rates. When the stock market began booming in the ’80s and ’90s, gold prices sunk and the value of the precious metal stayed at rock bottom until the early 2000s. “We’ve had a series of events that were really big shocks to our economic system,” Schaefer says, beginning with the terrorist attacks of 9/11. “It makes people wonder if a terrorist group were, for example, to simultaneously attack all our financial centers, would I be able to get my money? Is [my money] safe in the stock market? Is it safe in the bank?” Schaefer says the anxiety over the markets only got worse with the financial meltdown in 2008 that preceded massive government bailouts for major banks and Wall Street lenders. But as an investment, Schaefer says, consumers can be fooled by gold. “Gold is just a rock,” Schaefer says. “It just sits there. It’s not like the gold is generating cash.” Unlike stocks or commodities like oil that have immediate use and value, gold’s value is in its stability. Through tumultuous economic storms, gold’s value increases because it’s considered stable like a rock, but when the economy is good, it’s just a rock—and in either scenario, it doesn’t generate dividends. Singh’s business model allows gold buyers to buy and store gold as an investment. A point of difference is that the gold stores are not managed by millionaires nor are they dependent upon risky retail purchases. The company claims to have “democratized” the asset by creating, for the first time, a list of credible online gold-coin and gold-bullion dealers. When gold orders come in, the orders are bid out to an entire group of dealers to find the most competitive pricing. With the competitive approach comes more reputable and transparent exchanges. This model enables average consumers to buy and safely store small amounts of gold, Singh says. As for the vaults, Singh’s company partnered with the London Bullion Market Association to use their service vaults, which are already in place in many major cities. All of the company’s vaults, including the one in Salt Lake City, are insured through Lloyd’s of London. Professor Schaefer says the company’s model is a good fit for Utah. Having a vault that’s located nearby can be reassuring for customers who don’t want their gold shipped from New York City in case of a calamity. As a transplant to Utah and not a member of the LDS Church, Schaefer says that based on his outsider’s perspective, he feels the dominant religion’s emphasis on emergency preparedness is aligned with the concept of gold storage. “I moved here from Chicago seven years ago, and there, you never saw television ads for food storage,” Schaefer says with a laugh. Regardless of how well gold ownership fits with the “end times” mindset, Schaefer always tells people to treat gold like any other investment and know that it will follow boom-and-bust cycles. Singh acknowledges that boom and bust is inevitable but says, considering his business is one of the first innovative approaches the gold market has seen in decades, he believes the gold bubble is not ready to pop anytime soon. In fact, he’s even expanding his company with a new program to allow publicly traded companies to offer shareholders dividends in gold bars and coins—so far, only one mining company is enrolled in the program. He also understands that the interest in gold is fueled by economic insecurity but doesn’t see a problem with that.